Editorial0 has contributed a set of article-replies to some of Sean K. Reynolds rants about third edition design decisions. Those decisions have heavily influenced a lot of game designs since, so I’ll be putting those up – along with some additional comments or (in this case) some notable editing to cover the fact that I ran first edition games for many years, while Editorial0 has a good deal less experience with the older editions. This particular rant is entitled “Undead Can See Through All Illusions!” – and explains why Mr Reynolds feels that this is pretty obviously wrong. Indeed the rules as written pretty much directly state that he’s right – but calling on the rules to justify his reasoning is purely circular logic: after all, he was one of the people who wrote the rules, so the fact that they agree with him isn’t exactly surprising. Still, the design decisions here do make pretty good sense. This idea mostly got started because of sloppy thinking. Back in the first edition days of yore, when they were still gamely ignoring how the rules actually worked in favor of pretending that hit points were a matter of skill and not superhuman toughness (wait, some people still are), the idea also arose that illusions could only be perceived by a living mind, and only worked on the mind. That came from the psychosomatic damage rule, wherein if you failed to disbelieve an illusion it could go ahead and beat you into unconsciousness – even if the damage turned out to be illusory when you woke up later on. The failure to disbelieve took priority over the fact that the illusion had no actual substance to hurt you with. Thus, if it didn’t have a mind, illusions couldn’t hurt it. That WASN’T the same thing as immunity to the illusion though. A robot that didn’t have a mind couldn’t be hurt by those illusory spikes – but it still saw the illusion, and would still fall into the pit that the illusion of spikes had been cast over if it tried to just make its way through them. Still, such borderline cases rarely came up; things that made decisions – and so could be fooled by illusions – usually had minds. As far as creatures with minds went, if they disbelieved an illusion it couldn’t do psychosomatic damage to them. 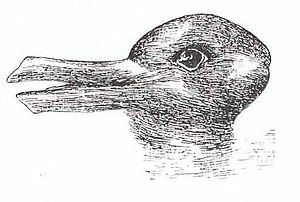 Thus it soon became a common-knowledge “fact” that illusions were mental effects “because they only worked on creatures with minds”*. *There were in fact some spells in that category in first edition, but they ran more to enchantments like “charm” spells than to illusions. Illusions were physical, and could be seen perfectly well even if you were scrying from a hundred years and a thousand miles away and had perfect mental defenses. This ignored the rules stating that creatures who disbelieved an illusion were still affected by the sensory effects that it produced (for an easy example, an illusory wall still made it hard to target someone hiding behind it whether you believed in it or not) – but that was easy to overlook, since it wasn’t like the PLAYERS could actually see what was going on in the first place, so when the spell “didn’t work”, it tended to be ignored thereafter. Third edition gave undead immunity to mind-affecting spells – and some people put that together with the idea that illusions were all entirely mental effects (which had been incorrect even in first edition) and concluded that undead were therefore immune to all illusions. That, of course, started a huge argument because it was based on a misreading of the rules to start with and ignored the fact that third edition had explicitly split up the list and drastically nerfed illusions by eliminating psychosomatic damage. Some illusions were mental and others were explicitly physical and – unless backed by “shadow” – couldn’t directly hurt you. A mental illusion wouldn’t work on undead, who got immunity to all of that. Of course, this actually confused things even more in other areas. Why didn’t they work on undead with minds? Why didn’t they work on Constructs with minds? Sadly, this was mostly a case of the game writers not really having a good reason for the immunities they handed out. They could easily have had a Mindless template or attribute of monsters, but they wanted undead to have certain combat characteristics and they gave those characteristics to them. A bit of further confusion arose from the fact that it was pretty obvious that undead weren’t using their long-decayed eyes to “see” with – which led to discussions about what they did see, and how, and to the notion of “lifesense” (which also justified that non-existent immunity to physical illusions). Thus we know where this particular error came from. Of course, if you WANT undead to have “lifesense” in your campaign, you can find a discussion of that in the next article in this series, over HERE. Thoth helped fill this one in, particularly some of the background details I was pretty hazy on. As he put it I simply wasn’t around in those days. I remember participating in many debates on this subject amongst my gaming buddies at the time, here in Sydney. Ultimately we came to the conclusion that some of the design team had one idea and some had a different concept, resulting in a half-and-half implementation of two different sets of mutually-inconsistant rules within the game. While the debates stretched our minds, this was creative energy that could have been applied elsewhere to the betterment of our games. What was missing was a clear indication of what the designers were thinking and trying to achieve, a behind-the-scenes perspective that would have enabled us to say “this implication of the intent has been missed,” house-rule it, and move on. That sort of behind-the-scenes information is one of the blessings of the modern era that shouldn’t be taken for granted. I find myself wondering, though, how big a fromative influance the very need for the debates had on modern game design and designers. How much does any game design owe not to the successes of the past, but on its failures? I know that these debates shaped my manner of thinking as a gamer, as a GM, and as a games writer. The hidden value in the fractured implementation of the rules was that each GM had multiple choices of modification to achieve consistency, so that each GM’s campaign was unique. That this virtue was also a flaw in that one GMs campaign could be incompatable with another’s is also undeniable. Thanks to all concerned for this post. I found each edition to be pretty consistent on the topic – if you applied all of the rules – but you did need to remember that the original booklets, D&D, AD&D first edition, AD&D second edition, 3.0, and 3.5 were all basically separate games, and nothing from any other edition then the one you were using was relevant. Personally, I suspect that most game design elements are less “success and failure” than they are more or less suited to particular playstyles – and that designers spend a lot of time swinging back and forth between various poles, as the flaws of each become more obvious and the advantages of each are more and more taken for granted. The arguments must have been interesting though. Still, I think I’m glad that most of the groups I’ve played with never spent much gaming time on arguments over the last thirty-five years. The games probably make better memories. I’m glad you found these interesting in any case. I do have to agree that a statement of what’s common and what’s “supposed’ to happen would have helped DnD a lot. TO some degree, DnD is such an old, and literally prototypical game, that it’s not all that clear how you’re supposed to play it. Is it intended to be a combat-heavy game of kicking through dungeon doors and looting the place? Is it supposed to be a grand rise to power by noble heroes to defend the world against evil? Is it supposed to be a cunning game of plan and counterplan using surprise, stealth (though not always the skill), and specialization and specialized magic to undercut the enemy’ plans? Or in little ways, what made the Paladin a standard class if the Blackguard was a PrC?There’s an article on that very question coming up. It managed to do what it did fine. But it also came off a confused and erratic, and failed to communicate play to the audience. For comparison, many other successful games did that much better. Shadowrun and World of Darkness (old, at least) and Exalted did. Rifts somewhat did – the game got a little insane after a while. And I think that makes it easier to know how to change things around when neccessary. If DnD is meant to be an epic game of ridiculous magic, it gives me a better understanding of that basis if I want to tweak it into a game of cunning plans and shadowy reprisals. Because, either way, it has problems. When it is just superhuman toughness, no pc gets better at defense, when it is a skill, they do get better, but you have problems expaining hit points in the context of long range weapons and magic attacks. Well, hit-points as partially physical and partially skills runs into a LOT of problems: skills sometimes fail, but they don’t erode away. All hit points heal the same way; why should skills need to heal the same way as physical injuries? If they’re luck or divine protection, can you get more with a regular program of sacrifices to the gods? Why do skills help when you fall into a vat of acid? That kind of question can go on for hundreds of paragraphs (and has in some debates). Basically, the game mechanics treat all hit points as being identical; all we can really do is either accept that they are or change the rules. Now, the alternative – “why is it no PC gets better at defense” is based on two major hidden assumptions – and both of them have problems. Most obviously, it assumes that PC’s really don’t get better at defense. In the game “getting better at defense” (raising your armor class) based on skills is possible; weapon and nonweapon proficiencies (skills) that did it were introduced in first edition Oriental Adventures. D20 includes lots of feats that can do it, and (at least in Eclipse and various other sources) Martial Arts skills. In d20 Modern all characters do it – and you can use their methods in Eclipse too. Now, none of those are free. That is a bit unrealistic in some ways; if I hang around with a metallurgist, I can expect to pick up a bit of the basics from them with no real effort. If, in the real world, I do a lot of fighting, I can expect to get better at not being hit even if I don’t work on that specifically. Games, however, almost have to treat character improvements as a limited resource – otherwise you wind up with something like Amber, which has no skill system because the characters can freely take a jaunt off to their own personal universe and have “The elder sages of Arasia put all the skills of the universe at levels of ultimate perfection into my brain!”. Amber assumes that attributes govern things because the characters are already ultimately skilled at anything that interests them. The vast majority of other systems present a tradeoff – “where shall I invest those resources?” – which is usually part of what makes them interesting. There’s the second major assumption – the real-world notion that getting better at defense is the best use of those limited resources. In d20 however, as is often true in reality, aim and multiple attacks usually beat evasion and toughness is often better than evasiveness. Otherwise no one would deploy tanks and VIP’s would be transported on fast evasive motorcycles rather than in armored cars. Snipers have their place, but machine guns and assault rifles still dominate in war. On a personal level in the real world working on “not being hit” is usually better than working on “being able to take it” because there really is no way to improve the amount of damage you can take; a single .22 bullet, or pencil, or even a relatively light blow to the chest in the wrong place will kill any real human being on the spot, no matter how they’ve trained. In every version of D&D so far, that’s not true; you CAN improve how much damage you can take. Just as importantly, in D&D universes wounds are generally quickly and easily healed, and have no lasting consequences – and there are lots of things (area effects, attacks that do not miss, falling damage, and so on) where evasiveness/armor class does not help a bit – but toughness does. And you can buy armor class with mere money, rather than those limited reserves of advancement resources. Batman is indeed way cool – but Superman handles bigger problems, could easily get the money to duplicate Batman’s gear, and survives things that Batman never could. In d20 “superhuman” starts at about level six – although it didn’t start until about level ten in first and second editions. They work regardless of what’s going on. There are games in which a character’s survival is mostly a matter of skill, but DnD is not one of them. For comparison: the most damage a starting level 1 PC can do is about 63 (That’s a Half-orc Barbarian in a Rage with a Greataxe, who rolls maximum damage and crits). Yes, I’m sure there are some weird speciality builds which can exceed that, but that’s irrelevant. We can take this as being above the maximum a human could really do. And in the gamwe that’s enough dmage to instantly kill a man, and then two more men next to him, and a fourth just because, and *then* still enough left over to make a fifth man close to death! (4 hit points and then 10 more to instant-death each). Obviously, he’d need Great Cleave to actually hit them (and then would roll damage again, etc), but he’s doing enough theoretical damage to tear apart a whole family in one swing. This is a bit much – the human body tends to be pretty tough to brute force attacks. However, that doesn’t hurt the argument. In fact, it makes it stronger. A normal man hit with a perfectly placed and leveraged blow from a huge axe goes home in a coffin. But a mid-level DnD character can have hit points in the hundred to two hundred range. While most pre-written characters stupidly don’t pick up extra Constitution enhancements, they are among the most valuable magical items and not difficult to make. We’ve easily had high-level characters in the 3-4 hundred range. And it’s perfectly sensible to have this. And even without it, it doesn’t take that long before a Fighter, Barbarian, or Paladin can take that perfectly placed, perectly leveraged blow and say, “Ow! That hurt. Somebody hand me a potion, please. And the rest will follow soon after. And that applies in situations where skill doesn’t help. If you are magically paralyzed or held still, enemies can but are not *forced* to take Coup de Grace attacks. Either way, extra hit points still give you a better shot of living through the day. So we know that in the game skill doesn’t help, and in case your skill at evading blows is your Armor Class. You could, and in Eclipse you can, get some kind of damage reduction for dodging the worst effects of attacks. We’ve discused giving characters a Dodge Pool, particularly for high-flying martial arts games. And no matter what you do, there’s no problem saying that PC’s get better at what they do. Is your Fighter a 500 hit points monster? Then he’s no less magical than the wizard, just less flexible about it. One character channels magic into superhuman skillfulness, another into spells, and a third into combat.